A series of water quality monitoring courses at Iowa State University is giving students an early taste of the real-world skills they’d use as environmental scientists. The courses help plug the students into the Ames, Iowa, community while supplying data to the state’s volunteer monitoring program. It also gives potential scientists hands-on experience in their field very early in their careers. “Retention of students in the sciences is an issue, and so we wanted environmental science majors to actually be engaged in doing science as early as possible,” said William Crumpton, professor of ecology, evolution and organismal biology at Iowa State . The two courses, which were offered for the first time this academic year, are required for all environmental science majors. Last semester, the first course trained students in the sampling protocols used by Iowater, the state’s volunteer water quality monitoring program. 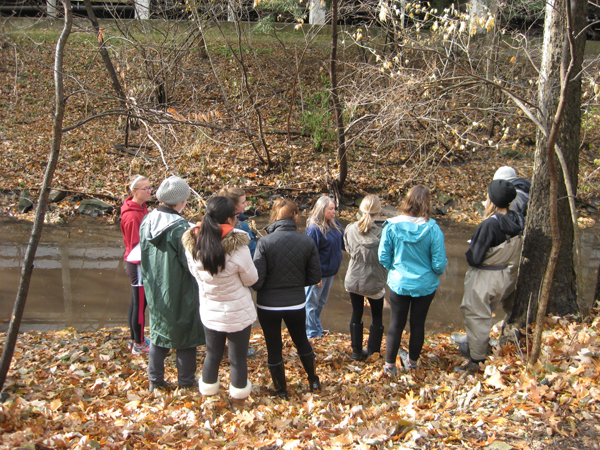 The second course, underway now, will have students sampling eight sites on three streams in and around campus. The students will collect data using kits supplied by the Iowater program to look at chlorides, nitrates, phosphates, pH and dissolved oxygen. Some samples will be analyzed under more rigorous research protocols at ISU’s Wetlands Research Lab. They’ll study sites upstream, within and downstream of school grounds to get an idea of what effect, if any, the campus has on water quality. Data will go to the Iowater website, which is maintained by the Iowa Department of Natural Resources and grants free access to anyone interested. The students will also present their findings across campus. The work will give students an opportunity to transition from a student mentality to a scientist mentality much earlier than they otherwise would have, said Hannah Julich, the course instructor and a graduate assistant in ecology, evolution and organismal biology. The courses grew out of an interest in building a service learning component into the Science of the Environment and Sustainable Systems Learning Community — a group of first-year or transfer students that take similar courses and sometimes live in the same residence hall. 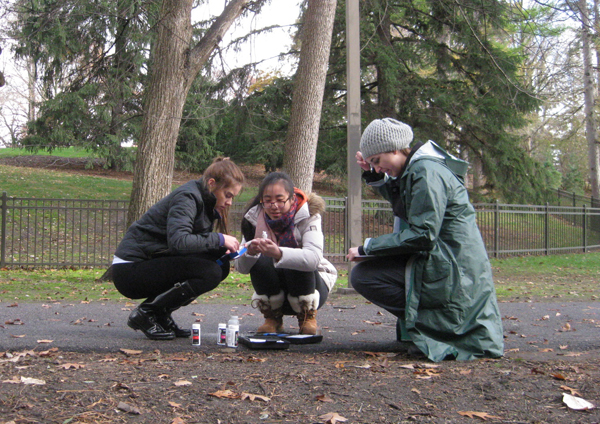 Having students conduct water quality monitoring on campus seemed like a natural fit, and it just so happened that the university’s Department of Environmental Health and Safety was interested in developing a similar program. The hope is that the service element of the work will foster both an interest in environmental science in the students as well as a deeper sense of place, said David Green, also a graduate assistant in ecology, evolution and organismal biology. “They can develop a stronger connection to Ames and the ISU community, and perhaps their own communities too if they take their volunteer monitoring efforts back home,” he said. The students are excited to get to work, but this year’s brutal winter has so far kept students off the water with icy conditions that aren’t yet safe.